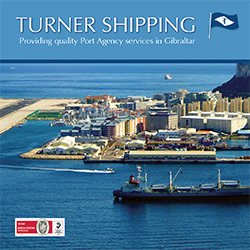 Turner Shipping is part of the Turner & Co (Gibraltar) Ltd group of companies – shipping agents in Gibraltar since 1831. If you’re visiting the port of Gibraltar, Turner Shipping offers all the services you need to make your port call smooth, cost effective and hassle-free. From tankers to cruise liners, cargo ships to private yachts, you can trust us to deliver whatever you need, whenever you need it. Our Port Agency services include Bunkering, Off Port Limits, Crewing, Dry Dock and Repairs and Ship-to-Ship (STS) Transfers. Contact us today to find out how we can help the next time you come to Gibraltar.